Visitors to Prague often miss out on the best of traditional Czech cuisine which is heavily meat-based but also quite diverse. Don’t be one of them unless you are vegetarian. A typical national dish is ‘pork, cabbage, dumplings’ which must be accompanied with a pint of beer, the most typical Czech beverage. If you avoid eating fast food and head out to the restaurants or pubs then you can experience some great traditional Czech cuisine. Czech cuisine is principally Bohemian and closely attached to that of southern Germany and Austria. Vegetarians will not be very pleased, as Czech cuisine uses a lot of fried or roasted meat, usually pork or beef and, on special occasions, game and fish are served with dumplings, potatoes or rice, in a sauce. On the other hand, one thing is sure; you will not go hungry as all the national dishes are incredibly rich and filling. However, you are not limited to Czech food as there are all sorts of international cuisines to choose from. You can try Chinese, Korean, Japanese, Cantonese, Italian, Balkan or whatever comes into your mind. As we said earlier one traditional Czech dish is ‘pork, cabbage, dumplings’ (vepřo-knedlo-zelo). It is composed of roast pork, ‘knedlíky’ (bread-like dumplings) which is a kind of gnocchi made of bread, gravy and sauerkraut (pickled cabbage). The reason why it gained so much popularity is because of its balanced taste, with the sour taste of sauerkraut a perfect complement to the salty taste of the meat. Another popular choices to try are roast duck or ‘Svíčková na smetaně‘ — sirloin of beef in cream sauce with bread dumplings, garnished with cranberries. Czech cuisine has also adopted schnitzels (breaded and fried chicken or pork patties) from Vienna, goulash (meat in gravy with bread dumplings) from Hungary and other thing like sour cream, vinegar, sour vegetables and pickles – probably from the East. As we mentioned earlier most of the Czech dishes are quite filling and quite mild; fresh salads are still quite rare. But there is one exception concerning fresh veggies; on nearly every menu you will find ‘šopský salát’, also called ‘balkanský salát’, which is a small bowl of chopped bell peppers, tomatoes and cucumbers in sweet vinegar with a salty white cheese grated liberally on top. Czechs enjoy Czech food and mostly eat in pubs; recently fast foods and pizzas have been getting very popular too. However, Czechs are not really keen to experience other international cuisines; some are conservative and for others it might not be affordable. Among grab-and-go foods, ‘bramborák‘ (a garlic-seasoned fried potato pancake) is a quick, if greasy, local favourite. The same goes for for smazeny syr (fried cheese). Fried cheese was, for a long time, practically the only vegetarian dish served at restaurants. Today, the range of meatless dishes is definitely much wider. 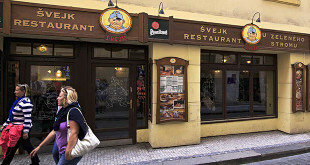 The ‘párek v rohlíku‘ (hotdog in a roll) is sold from kiosk windows around the city and is a reliable bridge between an early lunch and late dinner. Czech cuisine is very mild and mostly everything is prepared simply without hot spices. 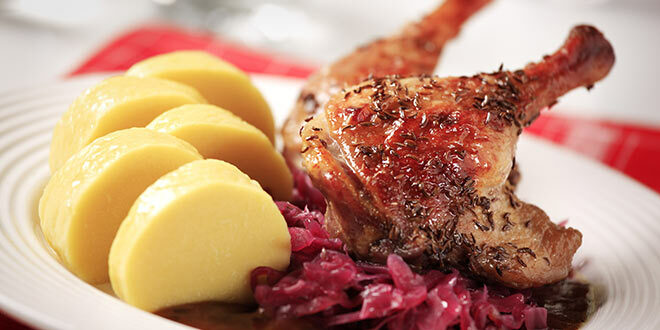 One of the most common dishes is pork served with dumplings and sauerkraut. Another one is pot-roaster beef in rich creamy vegetable sauce and cranberries. Sweet dishes, such as fruit dumplings, strudel and pancakes, are also very popular. When you try local food do not forget Czech Beer which goes well alongside. Recommended brands are Pilsner Urquell, Gambrinus and Prague Staropramen. Moravia wine and Czech spirits Becherovka, Borovička and Slivovice are also old favourites (it does not mean that foreigners will find them very attractive). Drinking water is not automatically provided in restaurants but is usually available on request. If you are early bird, like many Czechs, you can go to a bakery, café shops or buffets and have breakfast from early morning for around 60 CZK. is mostly served between 11.30am and 3pm. The cheapest food can be found in pubs during lunch time where you can have lunch with a drink for less than 100 CZK. Some fast-food places like pizzerias can be also quite cheap and serve decent food. Don’t forget, many restaurants are closed in the afternoons. Also, not all restaurants offer a menu á la carte during lunch time; this is only for a dinner. Instead they serve set meals (in Czech these are called hotovky). 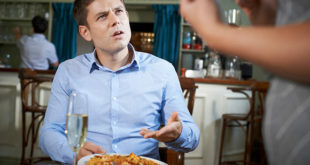 is served from 6pm to around 9.30pm, but some city restaurants serve food until late at night. Cheap restaurants including ones in a centre will satisfy your belly with a drink for around 200 CZK. Mid-range restaurants will charge from 250 CZK to 500 CZK for a meal, not including drinks. Top restaurants for dinner can hit the bill for 2000 CZK with wine. Booking is mostly only essential at well-known restaurants in summer and upmarket restaurants. Don’t be surprised if you find some funny names on the menu; even we Czechs don’t know where some of them come from and an explanation is usually required. is available from many supermarkets or grocery shops called ‘potraviny‘. If you want cheaper grocery shopping, go out of the city centre to any large supermarket, or even better to a hypermarket. Mostly Czech meal starts with a soup. If you want to try some Czech food you find it mostly consists of some meat and a side dish, usually without vegetables. The most popular meats are chicken and pork, followed by beef (try Prague roast beef), and they are usually served with some kind of sauce. As for fish, it is not a favourite choice for Czechs. However, you might still try trout, cod, salmon or mackerel or on Christmas Eve we eat a carp. If you’ve finished eating, and want the waiter to take your plate away, put your knife and fork together. Leave them crossed if you want to carry on eating. • Toasting is very common. The local ritual is to look into the other person’s eyes, clink glasses, and say Na zdraví (To your health!). Never cross arms with someone else to reach a person on the other side of the table. • It is considered good manners for the man to enter a restaurant or bar before the woman does. This ostensibly keeps her from being eyeballed by the men inside, and allows the man to deal with clearing a path and finding a table. • Service tends to be at the table, even in pubs. • When waiting for a beer, put a coaster down in front of you so the server can place your mug there. In some pubs, setting down the coaster will automatically get you a beer. • Never mix the dregs of a beer you’re about to finish with the fresh beer you’ve been brought. • Say dobrou chuť (bon appetit) before starting your meal. 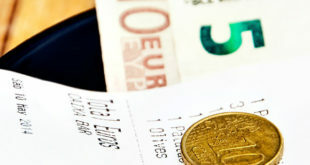 • When leaving a tip you can give the server the bill’s exact amount and say either to je dobrý or v pořádku (that’s fine). You may also leave the tip on the table. Prague restaurants are known for heavy meals but as the Czech population is starting to be more concerned than ever before about being healthy a large number of vegetarian restaurants are popping up. The Czechs are not saying good bye to their beloved traditional food. It is more like, yes we are aware and we are trying to make a change – but don’t expect us to eat a ‘meat-free’ dish more than once a week. Wondering whether there is muslim food or arabian/middle east food there? by the way, i am from malaysia. Can’t disagree with the writer’s. The food in Praha is fantastic and very reasonably priced. My wife and I are back there in June for the third time in 18 months! Can’t wait as I miss those dumplings! What a gem of a country. I can’t get enough dumplings! I went to a restaurant called Jama every lunchtime, i was staying at the hotel Icon opposite. They had the most wonderful Czech meals. Svicova, which is a a beef in a beautiful sauce with cranberries and whipped cream. With dumplings! De-licious!!! My favourite meals were anything with dumplings. Especially the beef goulash. Just so filling and perfect before a night out on the Czech beers. Jama also served me a Full English Breakfast every morning too. I think i’ve put on a stone in weight…but thanks for the tips.